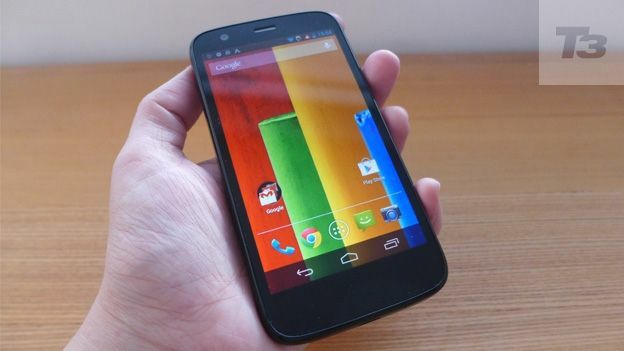 The Motorola Moto G Android 4.4.2 KitKat update is available now in the UK with Motorola's budget smartphone becoming one of the first to get the latest vesion of Android. Along with reported performance increases KitKat will also bring new features including a newly refined user interface, new phone dialer, the addition of photo editing straight from the gallery and of course full-screen apps. Other new features include wireless printing support over WiFi and the new Hangouts/SMS app which blends Google Hangouts with SMS and MMS messages in one app. Android KitKat was first introduced on the Nexus 5, since then it has been made available to compatible Nexus smartphones with the Moto G becoming the first non-Nexus phone to get the update. Other major manufacturers have already confirmed update schedules with HTC, Sony and Samsung all announcing that updates for their flagship smartphones would be landing in the next three months.